Bear's BreachDeciduous perennial. Deeply lobed leaves grow up to two feet long. Can tolerate drought..
Bear's BreachDeciduous perennial. Deeply cut, textured leaves with rigid spines grow up to two feet ..
YarrowEvergreen perennial. Ferny gray-green leaf clumps with very upright flowering stems and flat h..
Fernleaf YarrowEvergreen perennial. Ferny gray-green leaf clumps with very upright flowering stems a..
Keller's YarrowEvergreen perennial. Ferny silver-gray leaf clumps with upright flowering stems and ..
Common YarrowEvergreen perennial. 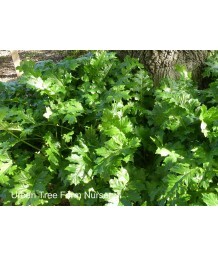 These hybrids of the California types have ferny gray-green leaf c..
YarrowEvergreen perennial. California native hybrid. Ferny green leaf clumps with upright flowering ..
YarrowEvergreen perennial. 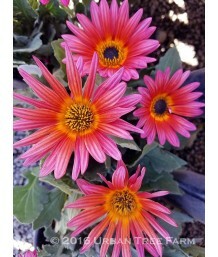 California native hybrid. 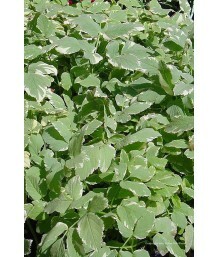 Ferny gray-green leaf clumps with upright flowe..
YarrowEvergreen perennial. Silvery-gray feathery foliage grows in low clumps. Soft, creamy yellow fl.. Compact Sneezwort/YarrowEvergreen perennial. Compact green fern-like foliage mounds topped with shor..
Wooly YarrowEvergreen perennial. 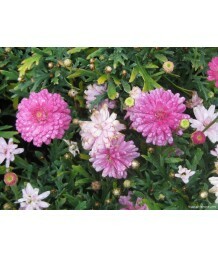 Compact fuzzy, fern-like foliage mounds topped with short flowers s.. Dwarf YarrowEvergreen perennial. Compact fuzzy, fern-like foliage mounds topped with short flowers s..
Bishop's WeedDeciduous perennial. 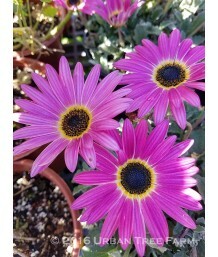 Vigorous spreading ground cover with cream and green variegated le..
Large Purple AeoniumFrost tender succulent perennial. Large rosettes of succulent burgundy leaves ar..
Lily of the NilePerennial shrub. Evergreen in mild climates. Thick sword-like green leaves grow in c..
Lily of the NilePerennial shrub. 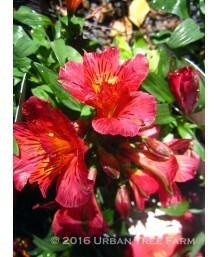 Evergreen in mild climates. 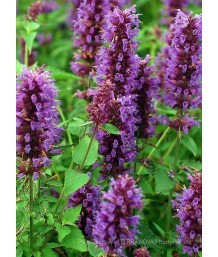 Deep, violet-blue flowers held in tight..
Licorice Mint/Sunset HyssopDeciduous perennial. 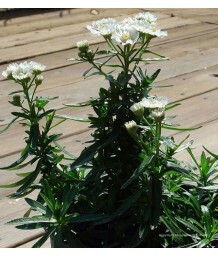 Bushy upright plant with scented, fine foliage. Airy..
Licorice MintDeciduous perennial. Highly aromatic deep green leaves grow on upright stems. 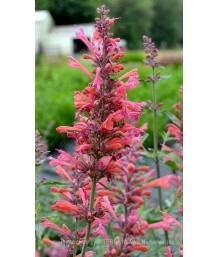 Abundant ..
Hummingbird Mint/HyssopDeciduous perennial. 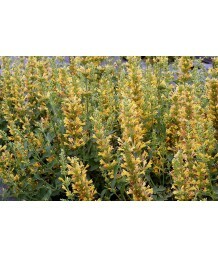 Highly aromatic bright lime-green leaves grow on upright..
Hyssop/Hummingbird MintDeciduous perennial. Highly aromatic green leaves grow on upright stems. Abun..
Licorice Mint/Sunset HyssopDeciduous perennial. Bushy upright plant with scented fine foliage. Airy ..
Hummingbird Mint/HyssopDeciduous perennial. Highly aromatic green leaves grow on upright stems. Abun..
Mexican HyssopDeciduous perennial. Highly aromatic deep green leaves grow on upright stems. 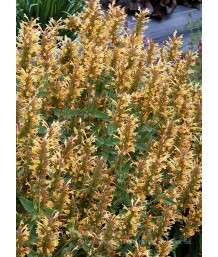 Abundant..
HyssopDeciduous perennial. Highly aromatic deep green leaves grow on upright stems. 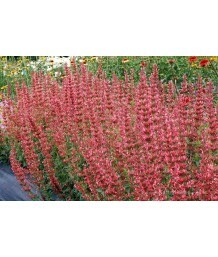 Abundant spires ..
HyssopDeciduous perennial. Bushy upright plant with scented fine foliage. Airy clusters of rosy-purp..
Mexican HyssopDeciduous perennial. Bushy upright plant with scented fine foliage. Airy clusters of d..
HyssopDeciduous perennial. Bushy upright plant with scented fine foliage. Airy clusters of ruby red ..
Anise HyssopDeciduous perennial. 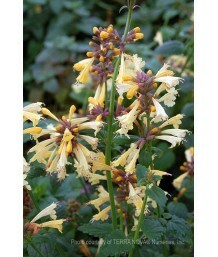 Bushy upright plant with licorice-scented foliage. Spikes of purple..
Anise HyssopDeciduous perennial. 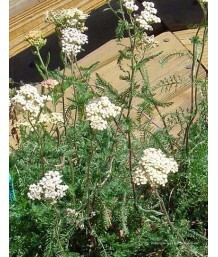 Bushy upright plant with licorice-scented foliage. Spikes of lavend.. Carpet BugleEvergreen perennial. 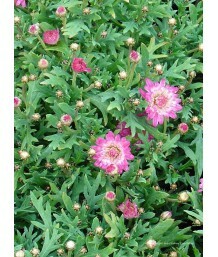 Vigorous growing groundcover for shady areas. Spikes of blue-purple.. 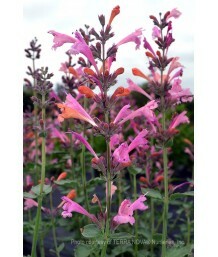 Dwarf Lady's-MantleDeciduous perennial. 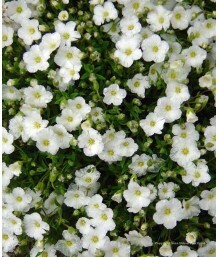 Lovely, low-growing, groundcover for shady areas. Soft-green..
Lady's-MantleDeciduous perennial. 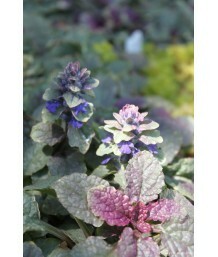 Lovely, groundcover for shady areas. Soft-green, scalloped foliage..
Lady's-MantleDeciduous perennial. Lovely, groundcover for shady areas. Soft grey-green, scalloped fo..
Ornamental AlliumBulbous perennial. This Mediterranean native forms dense clumps of grayish leaves w..
AloeEvergreen perennial. Also known as Aloe 'Blue Boy'. Thick, fleshy succulent leaves are blue-gray..
AloeSucculent perennial. 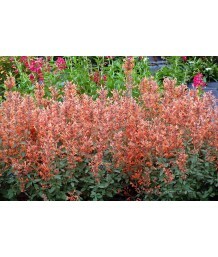 Low spreading clumps produce bright orange flowers on 12-18" stems above fl..
Coral AloeSucculent perennial. 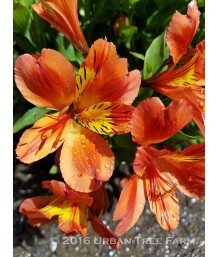 Low spreading rosette-shaped clumps produce incredible orange flowers.. Medicinal AloeSucculent perennial. 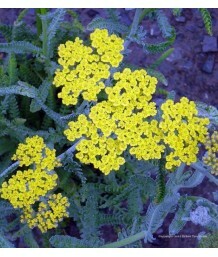 Large spreading clumps produce yellow flowers on 36" stems above .. Lemon VerbenaDeciduous perennial. Distinctive shrub or small tree with crooked habit. Lemon scented .. Shell GingerDeciduous perennial. May stay evergreen in mild winter areas. Long, shiny, green-yellow ..
Variegated Shell GingerDeciduous perennial. 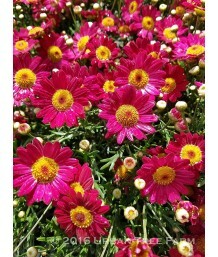 May stay evergreen in mild winter areas. Long, shiny, gr..
Peruvian LilyDeciduous perennial. Soft fleshy leaves on long stems bear showy tube-shaped flowers. C..
Peruvian LilyDeciduous perennial. Dark green bronze leaves grow on upright vertical stems. Spreads b..
Peruvian LilyDeciduous perennial. Soft fleshy leaves on compact stems bear showy tube-shaped flowers..
Peruvian LilyDeciduous perennial. True green leaves grow on upright vertical stems. 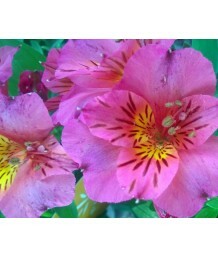 Spreads by tuber..
Peruvian LilyDeciduous perennial. Magnificent cream and green variegated leaves grow on upright vert..
Calico PlantDeciduous perennial. Moderate grower. Green tropical looking foliage. 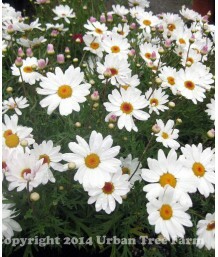 Flowers are white ..
Calico PlantDeciduous perennial. 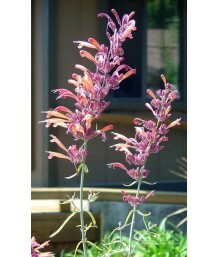 Striking wide, dark purple foliage becomes darker in the heat. Smal..
Calico PlantDeciduous perennial. Delicate narrow, burgundy foliage becomes darker in the heat. Small..
Joseph's CoatDeciduous perennial. 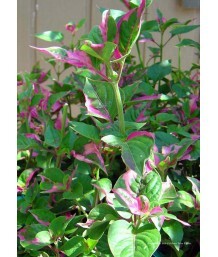 Beautiful multi-colored, Pink and green foliage brightens up shady..
Perennial AlyssumEvergreen perennial. 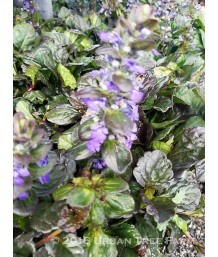 Underused but very lovely groundcover. 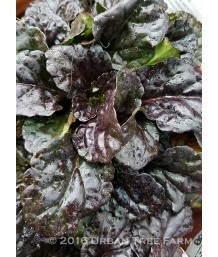 Fine textured leaves fo..
Naked LadyDeciduous perennial from bulb. Thick strap-like green leaves emerge in spring and die down..
Japanese AnemoneDeciduous perennial. Delicate flower stems extend above leafy clumps of foliage. Bea..
Japanese AnemoneDeciduous perennial. Delicate flowers stems extend above leafy clumps of foliage. 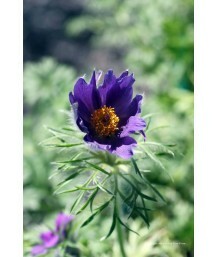 Be..
Anemone/WindflowerDeciduous perennial. 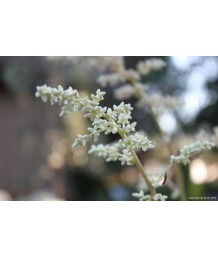 Tight mounds of divided dark green leaves; pale creamy flower..
Pasque FlowerDeciduous perennial. Clumping, with finely divided leaves. Large blue purple-bell shape..
Yerba MansaDeciduous perennial. California native forming broad carpets. Pure white 2-inch blossoms ..
Summer SnapdragonDeciduous perennial. 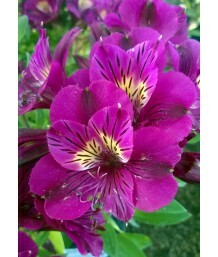 Small but showy dark purple snapdragon-like flowers bloom thro..
Kangaroo PawFrost tender evergreen perennial. Flat, green, sword-shaped leaves grow in clumps with s..
Kangaroo PawFrost tender evergreen perennial. Flat, green, sword shaped leaves grow in clumps with s..
Oil Shale ColumbineDeciduous perennial. 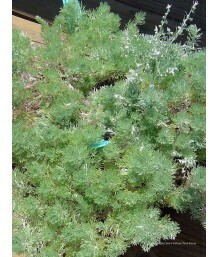 Delicate blue green leaves are divided in three-parts. 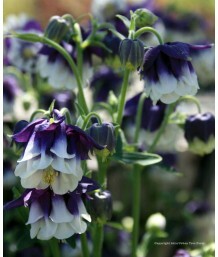 The f..
ColumbineDeciduous perennial. Delicate blue green leaves are divided in three-parts. 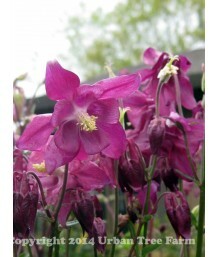 The flowers are..
Rocky Mountain ColumbineDeciduous perennial. Delicate blue green leaves are divided in three-parts. ..
Golden ColumbineDeciduous perennial. Delicate blue green leaves are divided in three-parts. The flow..
Western ColumbineDeciduous perennial. 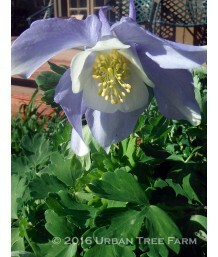 This California Native has delicate blue green leaves are divi..
Columbine HybridDeciduous perennial. Delicate blue green leaves are divided in three-parts. The flow..
Siberian ColumbineDeciduous perennial. Clover-like green foliage grows into sturdy mounds. 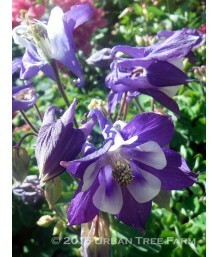 Lilac-blu..
European ColumbineDeciduous perennial. Delicate blue green leaves are divided in three-parts. The fl..
Elk CloverDeciduous perennial. Unusual plant from shaded canyons and stream-sides in California. 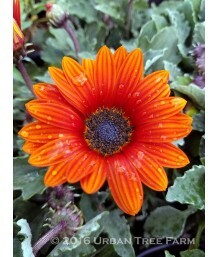 Bol..
African DaisyEvergreen perennial. This tough South African perennial forms a low clump of gray-green..
Mountain SandwortEvergreen perennial. Low growing groundcover. Small, dense, dark green foliage. 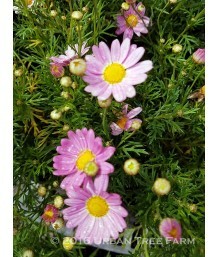 Bri..
Marguerite DaisyEvergreen perennial. Low-growing mound of small green leaves create a tidy small-sca..
Marguerite DaisyEvergreen perennial. 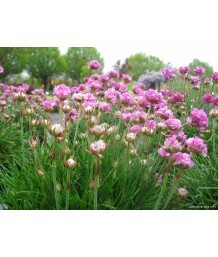 Low-growing mound of small gray-green leaves create a tidy smal..
Thrift/Sea PinkEvergreen perennial. 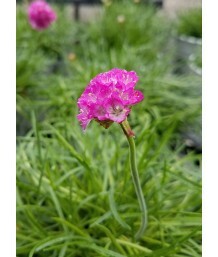 Soft mound of lush, bright green grass-like foliage is topped by..
Sea Thrift/Common ThriftEvergreen perennial. 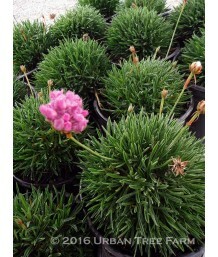 Soft mound of lush, bright green grass-like foliage is ..
Sea Thrift/Common ThriftEvergreen perennial. 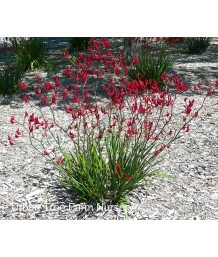 Soft mound of lush, purple-red grass-like foliage is to..
WormwoodEvergreen perennial. 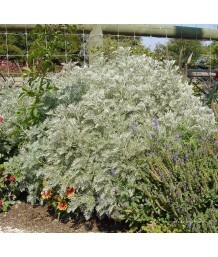 Beautiful, lacy, silver foliage forms thick domes. Vigorous growing, gr..
Common WormwoodDeciduous perennial. Bushy, fine textured plant with silver-gray, fragrant, fern-like..
French TarragonDeciduous perennial. Bushy, fine textured plant with narrow green leaves. French tarr..
White MugwortEvergreen perennial. Green leaves have purplish flush, erect dark stems produce showy, ..
Angel's Hair WormwoodDeciduous perennial. Fine silver foliage forms low mounds. White flowers are in.. 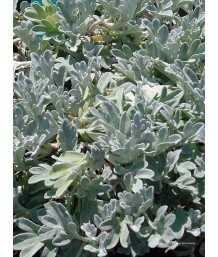 Dusty Miller or Beach WormwoodEvergreen perennial. Broad, deeply-lobed, silver leaves form a low mou..
SagebrushEvergreen perennial. California native. Wedge-shaped silvery, aromatic leaves on erect bran..
CA Wild GingerEvergreen perennial. Native to California's coastal redwood forests. 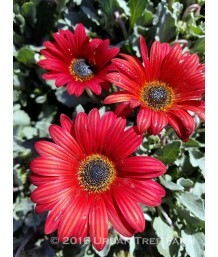 Forms lush, shiny..
CA Lemmon's Wild GingerEvergreen perennial. Sierra Nevada relative of the coastal wild ginger forms ..
Butterfly WeedDeciduous perennial. Tall, slender stems with narrow leaves bear clusters of golden ye..
Butterfly WeedDeciduous perennial. 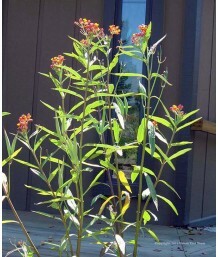 Tall, slender stems with narrow leaves bear clusters of orange-ye..
Butterfly WeedDeciduous perennial. 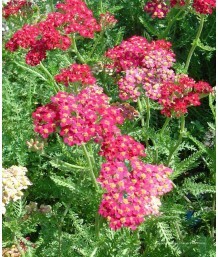 Tall, slender stems with narrow leaves bear clusters of red flowe..
Butterfly WeedDeciduous perennial. Tall, slender stems with narrow leaves bear clusters of dark red ..
MilkweedDeciduous perennial. California native. Tall, slender stems with narrow leaves bear clusters..
MilkweedDeciduous perennial. Tall, slender stems with narrow leaves bear clusters of fragrant pink f..
MilkweedDeciduous perennial. California native. 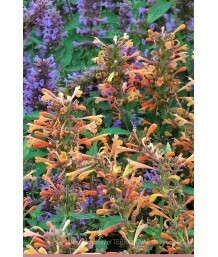 Large, furry leaves with summertime broad clusters o..
Butterfly FlowerDeciduous perennial. From the Eastern U. S. Clumping from base to display broad, wax.. Cast Iron PlantEvergreen perennial. 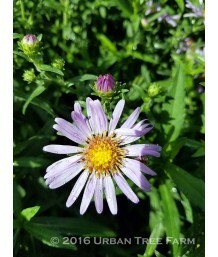 Old fashioned, durable perennial keeps glossy green leaves all y..
Silver SpearEvergreen perennial. New Zealand native. Tight clump of arching tapered silvery leaves u..
Silver SpearEvergreen perennial. New Zealand native. Arching, silky- haired leaves form dense, drama..
AsterDeciduous perennial. 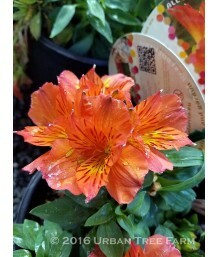 California native hybrid. 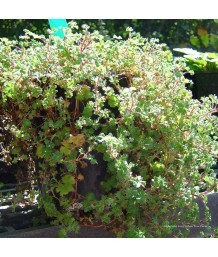 Bushy plants have attractive green foliage. Rich..
AsterDeciduous perennial. Old time garden favorite. Bushy plants have attractive green foliage. Purp..
New England AsterDeciduous perennial. Old time garden favorite. 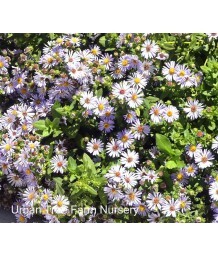 Bushy plants have attractive green f..
Michaelmas Daisy/New York AsterDeciduous perennial. Old time garden favorite. Bushy plants have attr..
Gold CoinFrost tender evergreen perennial. 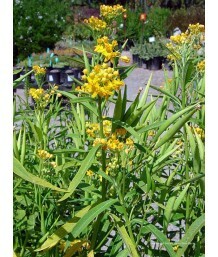 Low mounding silver-green foliage bears bright yellow flo..
Meadow SweetDeciduous perennial. Soft-textured clumps of divided leaves composed of toothed or cut l.. Basket of GoldEvergreen perennial. 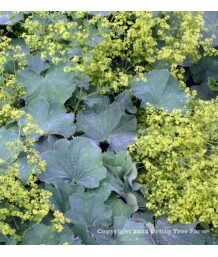 This low growing groundcover is related to mustard. The small lea..